In October, I had the opportunity to attend the Portland Retro Gaming Expo (PRGE) in Portland Oregon. This year the expo was held downtown at the Oregon Expo Center. The expo center is a huge facility and can host multiple events at the same time. In fact, I almost attended a used book show that was also being hosted by the Expo Center at the same time by mistake! I wasn’t sure what to expect as this was the first retro game show that I had attended. This show was well organized and had an estimated attendance of 4000. Part of the 60,000 square foot area was called the ‘Super Arcade’ and numerous vintage arcade machines that were available to be played. About two thirds of the floor space was available for vendors. It seemed to me that the vast majority of the of items for sale were for the NES and SNES with only a small amount of Atari items. 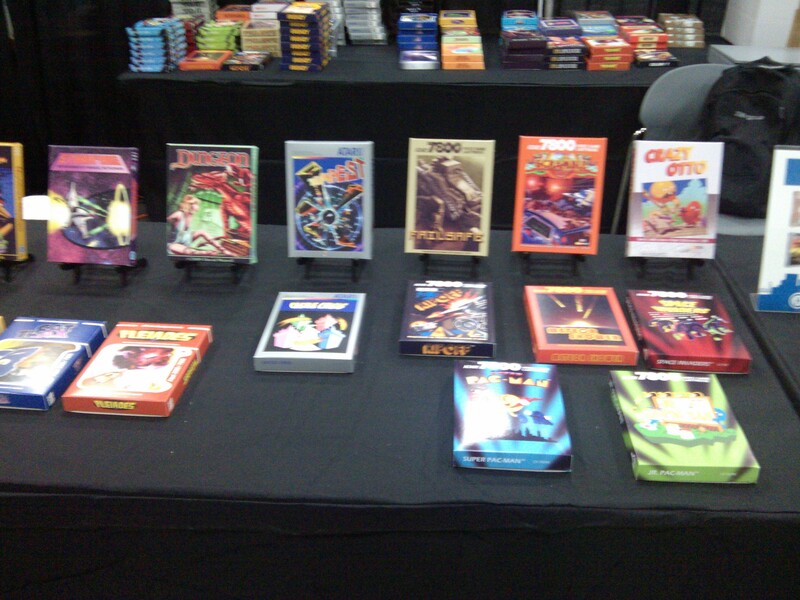 One booth where there was plenty of Atari games to be had was the AtariAge booth. I had volunteered to help out with the booth which game me the opportunity to meet a number of folks from the AtariAge forum. AtariAge released four new games at the PRGE, including Space Rocks, Frenzy, Ixion, and Seaweed Assault. Darrell Spice, the designer of Space Rocks was on hand and signed carts for anyone who asked. My favorite Atari system is the 7800 as it has great graphics (for an 8-bit system) and plays most 2600 games. What surprised me at the show was the passion for the Atari 2600. Perhaps this is because so many were sold (over 30 million) that virtually everyone had or had a friend that had one. Despite the improved games and graphics on the 7800, the 2600 is still the king of Atari 8-bit game systems! Another aspect of the PRGE are the workshops. I was able to attend a couple of these and it was really cool to see and hear from Atari veterans (gods?) 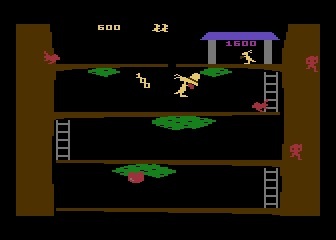 like David Crane (Pitfall), Bob Smith (Moonsweeper), and Gary Kitchen (Donkey Kong). The stories that they are able to tell about the early days at Atari, Activision, and Imagic are really amazing! 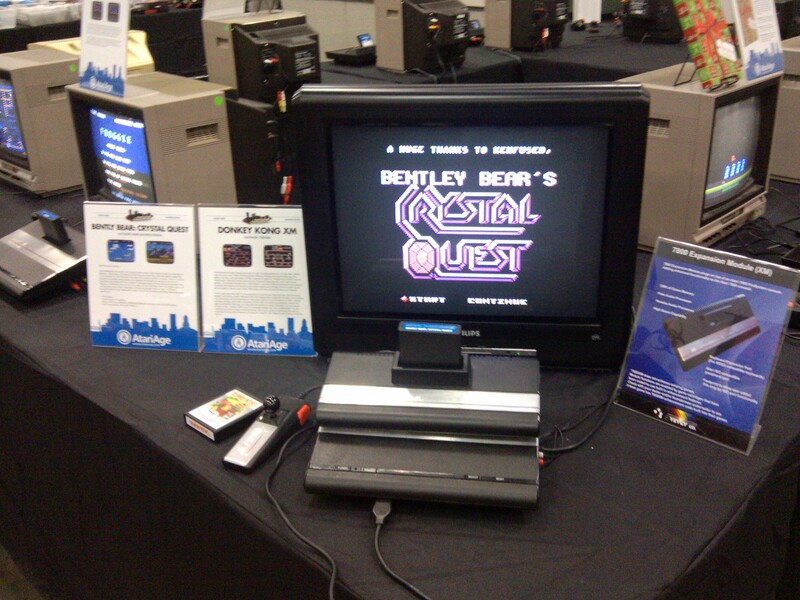 If you are a retro game fan and are able to make it to Portland, a visit to the PRGE is a must see. The PRGE is usually held in late September or early October. For more information, click here. Categories: 2600, 7800, Atari | Tags: 2600, 5200, 7800, Atari, retro, VCS | Permalink.